Buy AnkoArt a Coffee. ko-fi.com/ankoart - Ko-fi ❤️ Where creators get paid by fans, with a 'Buy Me a Coffee' button. 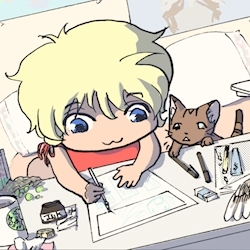 Indie comic creator and illustrator with a love for cats and sweets! As a new indie comic creator, I'm grateful for any and all support. Donations are what help me buy the supplies I need to create comics and illustrations. I hope my work can bring you a little moment of happiness! Secured Payments. Support goes to AnkoArt's account. Upgrade AnkoArt to a yearly Gold Membership with a one-time payment.